​Isco will demand that he is allowed to leave Real Madrid next summer if Santiago Solari is kept on as manager beyond the end of the season. The Spanish attacking midfielder is yet to start in La Liga since Solari replaced Julen Lopetegui in November, with talks of a rift between the pair, though Solari denies that there is any ulterior motive behind his selections. Contrary to other reports, ​AS claims that ​Isco wants to stay at the Santiago Bernabeu for the foreseeable future. He is about to become a father for the second time and doesn't want to uproot his family from Madrid. 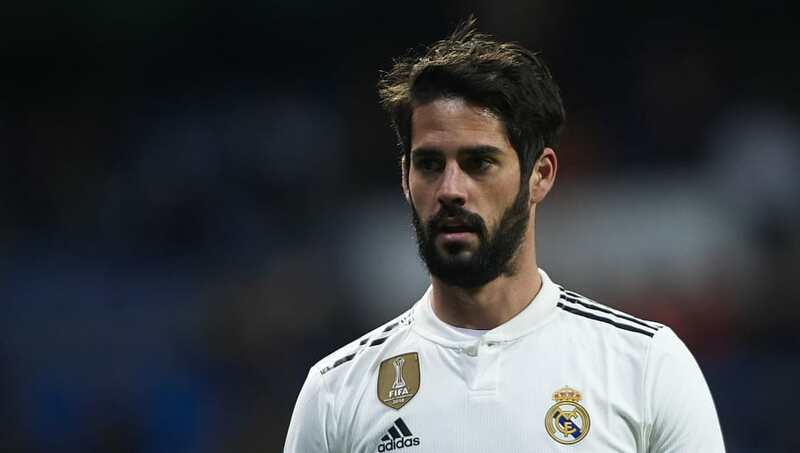 However, Isco accepts that his position at ​Real Madrid would be untenable if Solari remains in charge and has reportedly given the club an ultimatum: either the manager goes, or I do. Solari has steadied the ship since taking over, but supporters are far from enamoured with his selections or tactics, and there is little appetite to see him remain in the dugout next season. Jose Mourinho has been tipped for a return to the club he managed between 2010 and 2013, with Mauricio Pochettino and Joachim Low among the other runners and riders. If Isco does decide to leave, a move to the Premier League could be on the cards. ​Manchester City are touted as the favourites, with Pep Guardiola known to be a huge admirer of the former Malaga man. Reports indicate that City would be prepared to bid up to €86m for Isco. Real Madrid would want €100m, but they may accept a lower bid if it helps to strengthen other areas of their squad.